The Sponge Reese and the Gothic Fasoro have just been released. Two new Avatars have been hidden! It may be a little early, but its now Winter on Marapets. The day winter layout has now been completed and you should see it on the site. We will have the night time version released in a couple of days. We hope you like it! The Oglue can now wear the Seasonal Costume. Just to let you all know, our week long One Million Members Party starts this weekend. Make sure you're around for it! A new Emo Costume has just been released and is restocking at the costume shop! The Mordo and Xoi can now wear the new emo costume. Our Network Sites have all had their maintenance completed. We would like to apologise for the problems you may have had recently, with Marasites, MaraJournals and MaraUploads. They are all working as normal now and you should notice that they are loading faster than before. All three sites will have more improvements later this week. We have hidden two new Avatars and released the default Mordo avatar. The Pirate Grint and Ninja Equilor have just been released. They are a little later than usual, but the November Account Upgrades have been released and are now avaliable. The theme of this set is Devil. You can get one of these three Enchanted Devil Plushies. There is a one in three chance of getting a limited edition Mordo! You can get a Devil Costume which can be used on these pets. The Lottery has been drawn for this week. darcevilneeleyone is the winner of the 627,800MP Jackpot with the winning numbers of 23, 17, 24, 16, 7 and 14! Congratulations! Last Week's Raffle has now ended. milsberry1996 is the winner of the Red DNA and 100,000MP prize with the winning raffle ticket number 40798! Congratulations! Make sure you buy your tickets for today's raffle - only 10MP per ticket! We would like to apologise for the Maintenance we had yesterday. It was planned for next week but at the last minute it was changed and we had no time to warn you of it. Our servers were being moved to our new secondary network, to allow for future upgrades. Our old network was too difficult for us to work with as we have grown so quickly and it was never planned properly for this amount of players. Our network will now be easily upgradable to whatever we need without any future downtime. Sorry for any inconvenience caused and within the next 48 hours, everyone should be able to access and play the site as normal. It will take a few days longer for all of the network sites to be back to normal. The Mordo is now avaliable in Super Hero, Hobo, Royal and Funky. Just a reminder that will be removing the Pumpkin Ed from the Account Upgrades page tomorrow. The long awaited Theatre has opened upstairs in Baspinar's Castle, by a Phanty called Trunx. This mission should have the same difficulty as Tarquin, as Trunx asks for CDs that your pet has listened to. Complete all 30 missions for prizes such as a limited edition pet Phanty Potion, a Princess Costume, Musical Pearl, Trunx Plushie, Theatre Stamp and more! The Phanty pet is now avaliable in Princess, Ninja and Devil. The Devil Costume will be released as part of the November Account Upgrades. The Lottery has been drawn for this week. starbuzz is the winner of the 10,900MP Jackpot with the winning numbers of 5, 12, 21, 8, 18 and 25! Congratulations! Last Week's Raffle has now ended. ailz is the winner of the Red DNA and 100,000MP prize with the winning raffle ticket number 200! Congratulations! Make sure you buy your tickets for today's raffle - only 10MP per ticket! The Lottery has been drawn for this week. hahausuck is the winner of the 3,114,600MP Jackpot with the winning numbers of 2, 6, 3, 4, 7 and 18! Congratulations! Last Week's Raffle has now ended. pieface99882233 is the winner of the Red DNA and 100,000MP prize with the winning raffle ticket number 8540! Congratulations! Make sure you buy your tickets for today's raffle - only 10MP per ticket! Today's new Flash Game has just been released. It can be played 3 times a day with a maximum payout of 1,500MP per game. Muffin's Bricks can now be found at the puzzle games category of the games section. The new Mordo pet is now avaliable in Prison, Mutant and Zombie forms. Today's new Flash Game has just been released. It can be played 3 times a day with a maximum payout of 1,500MP per game. Domino can now be found at the puzzle games category of the games section. Just a quick reminder that the June Account Upgrades will retire in a few days when the November upgrades are out. We will show you a preview of some of the November upgrade tomorrow. This Mermaid Huthiq has just been released. All Halloween Celebrations will end sometime on Saturday. The Pumpkin Ed minipet will still be avaliable until November 9th. Halloween may now be over, but we've still got new Halloween Minipets for you. The Twree Stamp that was on the limited edition account upgrade items page has now been retired, being replaced by the Pumpkin Ed minipet. He is avaliable to purchase with your upgrade credit for the whole of Halloween Week and then will retire - but as its been released later than planned, it will actually retire November 9th. Five other Halloween Minipets are now resstocking on Minipet Island too! A new Halloween Event has just started! As well as all of the other fun halloween activities happening all week, the Pumpkin Hunt is also taking place. This is a new event to the site but if its a success, we hope to bring it back every year - like our Easter Hunt. While you are playing the site as normal, there is a chance that a Pumpkin will show somewhere on the page in an orange box. It could be anywhere on the page so you will need to look out for it. When you find the pumpkin, you click on it and you will receive a prize. This could be one of these 5 new halloween Candy Dispensers, a Halloween Book or MP. You can only get these items from this event and they will retire in a week's time. The more pumpkins you find and collect, the more prizes you will receive. At the end of the week, a Halloween Costume and 100,000MP will be rewarded to the 25 players who have found and collected the most Pumpkins! Halloween Week has just started and so has Trick or Treating! This is the only week of the year that Elger has a break from giving her quests, for pets who have dressed up in their witch, halloween or ghost costumes for this special ocasion. Every 20 minutes you can go to visit Elger for a trick or a treat. This year's treats include the Ghost Pearl, Halloween Stamp, Trick or Treat DVD and Graveyard Dirges! There is one thing you may need to watch - there is a small chance that your pet will change into a Ghost or Witch (or Halloween in a couple of days) Phanty! This is your chance to be one of the first to own one of these Limited Edition pets! The chances of getting a Halloween or a Ghost or a Witch pet have tripled from at the Portal - and its 10 times more likely at the Whirlpool! Its nearly Halloween and the whole of Marada is getting into the halloween spirit! From today until the end of October, halloween celebrations will be occuring all over the site! 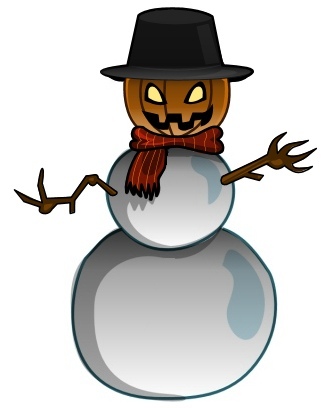 The Snowman has taken halloween a little too seriously this year! He is only asking for halloween treats and he is giving out new prizes, such as the Ghost Costume and Pumpkin Gumballs! Today's new Flash Game has just been released. It can be played 3 times a day with a maximum payout of 1,500MP per game. Mahjong can now be found at the puzzle games category of the games section. We have retired the Wild Back Wallpaper from the limited edition items at the Account Upgrades page, and replaced it with the Two Hundred Dukka Coin. There are five new Avatars for you to find. Meanwhile over at the Plushie Machine there must be some kind of witchery in the air... We now have these Enchanted Rofling Plushies available to win! And did something go terribly wrong with these plushies? No, they're just Mutants... Creepy! Marapets reached 1,000,000 members today!! This is a huge milestone for us and as promised, we will be having a huge party to celebrate. But as the rest of the month is dedicated to Halloween related news and events on the site, our party will be in the first week of November! Thanks for everyone who plays the site - without you we wouldn't have made it! You may also be lucky enough to win one of these rather cool enchanted halloween plushies from the machine! Sorry for the downtime earlier, our server company was having problems and it brought down quite a lot of our database servers. The problem has been fixed, but it does mean that our record for longest length of time without major downtime is now only at 4 months. Sorry for any inconvenience caused. We do have planned maintenance for this Friday, but the downtime will only be in certain parts of the site for only several minutes, so you probably won't even notice it. The Halloween Ercuw has just been released. Our Halloween celebrations will start on Friday and carry on until the end of the month. We will have lots of halloween related news, giveaways and our annual Trick or Treat event. This year to take part, you will need to either have a halloween, ghost or witch pet. The Ghost Jessup has been spotted hanging around the gates of the graveyard in Undying Woods - now your Jessup can become ghost too! We have a brand new server for Clubs now installed and therefore all of the problems we had with clubs have now been fixed. The Witch Feliz has also been released. The network sites are back from their downtime. Each server had a small hardware upgrade and it may take up to 48 hours for them to come back online for you. Sorry for the lack of warning, we wasn't expecting it to be done until the end of the month. This means that a few problems with MaraUploads have also been fixed. As we are quickly approaching 1 million members, you may have noticed that most of the site has been revamped. The Marada Map was top of the list, as it hadn't been redrawn since we opened, other than to add new worlds. Its taken weeks of planning, sketching and reorganising, but we have managed to release the new map with every world we have on there and also include all of the 7 new worlds we have planned for the next year. We hope you like the change. This is the first version, so therefore it will obviously have more work done to it soon.